It’s been said that the quality of a founder relationship is one of the greatest indicators of success as new companies emerge and evolve over time. It’s also often assumed that founders who launch companies together are best friends or childhood buddies living out a dream. Yet the Instant Team founders were really just acquaintances for nearly 2 years until their diverse backgrounds yet commons visions aligned into a collaborative partnership that’s paved a new way into the future of work for both companies and their direct community. Liza and Erica first met as newly uprooted military families in a community right outside of Richmond, VA in 2014. They only met up once or twice in social family settings before the military sent both families again on their way to a new locations after just 11 months. Despite the limited time together, Erica and Liza both shared a common bond in the entrepreneurial space and a heart for the community around them, and they kept in touch remotely over social media. What neither of them really knew about the other is that they had both seen a deep need in their direct workplace environments for better solutions for quick team development, companies needing immediate access to the best talent, and their peers in the community needing a direct connection to flexible work opportunities. In 2016, after 2 years of just casual social media interactions, Erica sent Liza a Facebook message and asked for five minutes to just pitch a crazy idea to her. She hadn’t slept in days and just needed to throw this idea out to the world and let it land. She knew Liza’s business savvy and forward thinking personality would be the perfect balance to her community building and branding skills IF this idea could even work. Within minutes they realized their shared a vision was in the exact same space and their relationship changed from acquaintances to founders overnight. They’ve been focused on the future of work since that day! As a software developer and business owner for over 14 years, Liza had seen the need for agile teams time and time again. She saw million dollar projects fail because the support mechanisms for vetted and ready to go talent to support large contracts didn’t exist. When she became a military spouse, she was astonished at the high levels of education and skills sitting in her neighborhood, yet so many were unemployed - not by choice but by lack of sustainable career options that meshed with the nomadic demands of military life. After 10 years, Erica’s first career as a child development specialist for the Army ultimately saw it’s demise after numerous moves and lack of open positions, which is often the typical story of career progression for military spouses. She took a hard turn into the startup space in 2012 and quickly grew into a Community and branding consultant for Silicon Valley startups. Like Liza, Erica saw the need for team growth hit companies hard. As she took on new consulting jobs, she started building “pods” of talent for these companies from her immediate community of military spouses with robust backgrounds in marketing, administration, and community building. It had just come time to take the concept to the next level! Once Liza and Erica knew they shared the vision, they set out to develop a business solution that not only serves to scale and support companies but also deliver remote work opportunities to the military spouse community. And so Instant Teams was born! 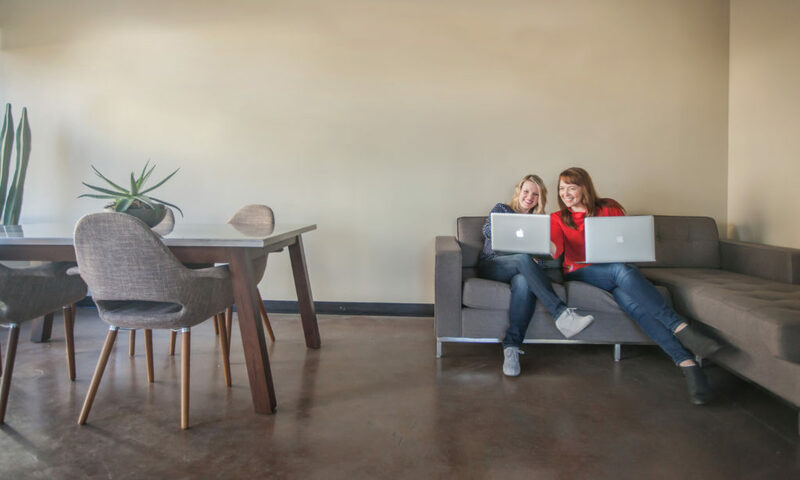 Today, Erica and Liza are still striving towards their goal of building remote workforces of talented professionals from the military-connected community. They know the process for building remote teams is becoming more advanced, and that the future of the workforce will demand innovation and flexibility. So they continue to take strides in making the hiring and management process of remote teams more efficient for both companies and professionals alike. From original concept to evolving product, they continue to scale Instant Teams with an automated remote workforce management platform.